Modern best practice has storytellers - PR pros and marketers - focused on expanding beyond traditional press coverage with search optimization and sharing through social media. Modern best practice has storytellers - PR pros and marketers - focused on expanding beyond traditional press coverage with search optimization, sharing through social media, and extending with affordable multimedia. These changes are extraordinary, but more are coming. In 2012, storytellers should heed three best practices to react to three changes: the move from active sharing to passive sharing in social media; the flight to quality, localization, and freshness in search optimization; and the way journalists and bloggers source and tell their stories. Every reader is an editor. Social media already gave storytellers direct access to readers, while easy sharing means stories get distri-bution to like minds. In the next year, many Facebook apps will go beyond publishing explicit shares to track and publish users' implicit actions. Automatic sharing of actions will turn shy social media users into sharers and greatly extend the possibility of a story going viral. In addition, the creation of "social magazines and readers" - Zite, Washington Post Social, Flipboard, AOL Editions, and its competitors, as well as the new Facebook social readers - means friends and colleagues, rather than media, will become editors of the news. Spread quality, not quantity. The industry has grown out of flooding the Web with content in hopes Google users will find it. With Google's Panda search algorithm releases, that practice is ineffective. Storytellers who seek a ranking in Google must ensure their content is high quality and appears on reputable websites. Sites with junk content will no longer drive search traffic. Another key change is the Google algorithm's shift to favor local and fresher content. More local content gives small businesses a shot at the first page of Google results. The latest Panda change puts more focus on "fresh" content, which will help storytellers reach a target audience via search by putting out high-quality, timely news. Think like a modern journalist. Storytellers must adjust to the methods journalists and bloggers now use to source and share their articles. Journalists and bloggers are getting comfortable using social media and "matchmaking" services to find sources. They are also reacting to search trends, so seek opportunities in keyword trends. Journalists will also publish stories on as many platforms as they can and engage with readers long after the story has published. This makes the social engagement of journalists and bloggers as important as the social engagement of fans and customers. 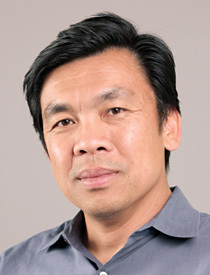 You Mon Tsang is SVP of products at Vocus.